Fit Girl Shel | Eat. Go. Learn. Live. Today I’m starting a fitness challenge with a couple friends of mine (and a few thousand strangers). 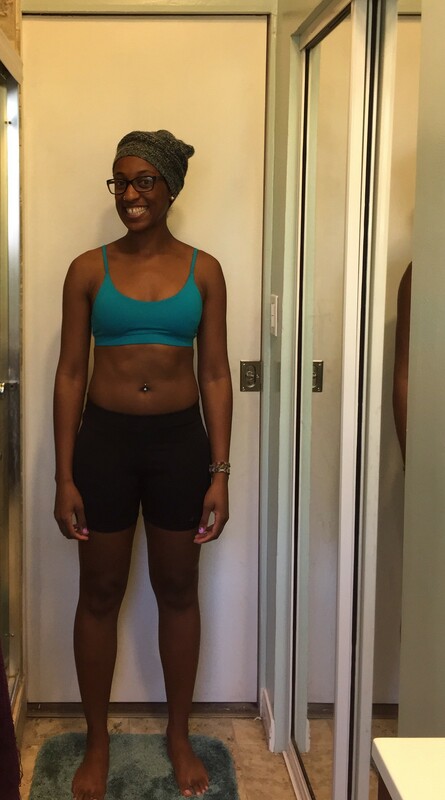 It’s a 28 day challenge with a schedule of meals and workouts, called the Fit Girl Guide. While I’m all for a good hard workout, I like to eat what I want. The challenge for me will be sticking to the meal plans provided. However, I think I can stick it out for 28 days, especially if it yields results! 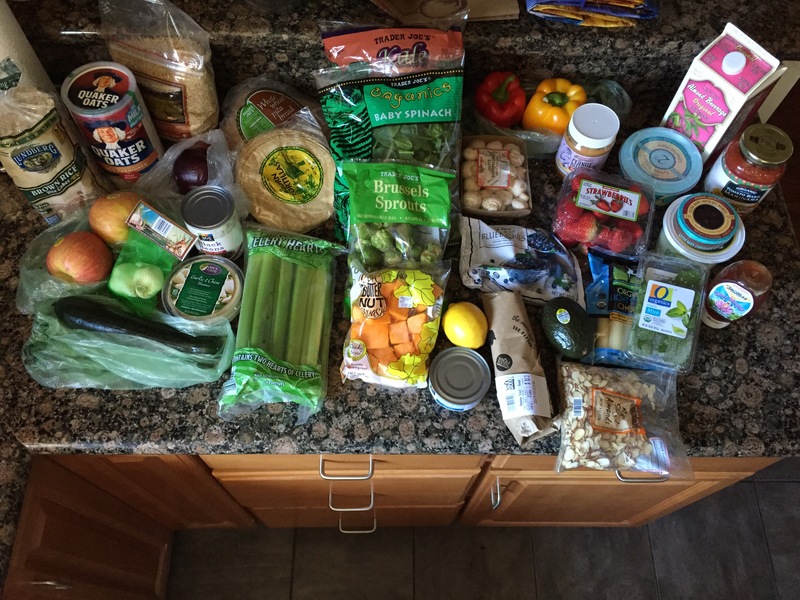 For the first week, the challenge has the same breakfasts lunches everyday. Im not doing that, sorry. I will stick to the idea of eating healthy, but I need variation! So, for breakfast I made an overnight oatmeal with almond milk, honey, Greek yogurt, and blueberries. 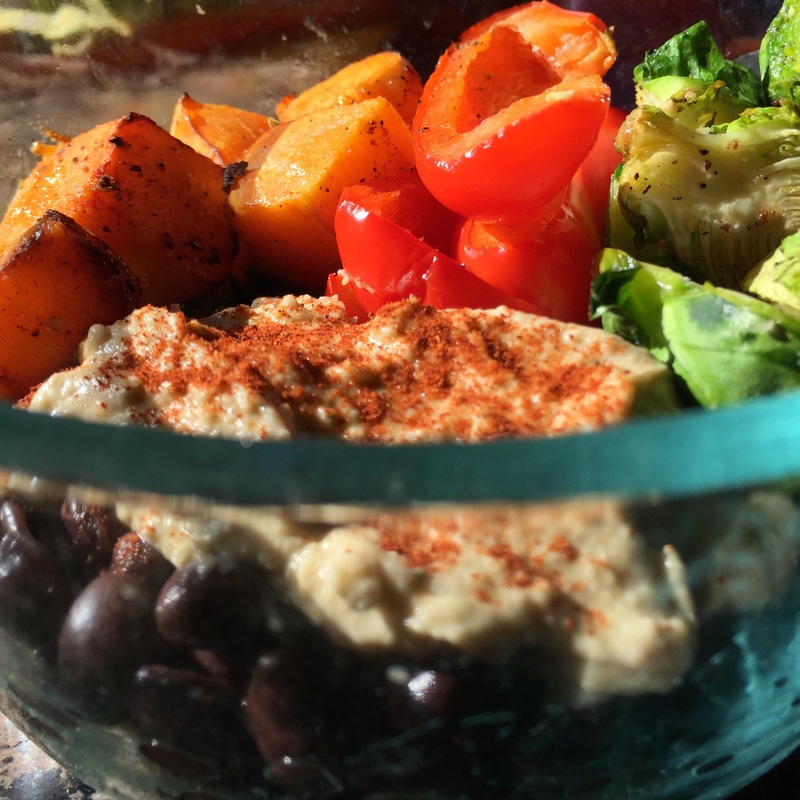 For lunch I made a roasted veggie “power bowl” with brown rice and hummus. I’ll let you know how they taste when I eat them. 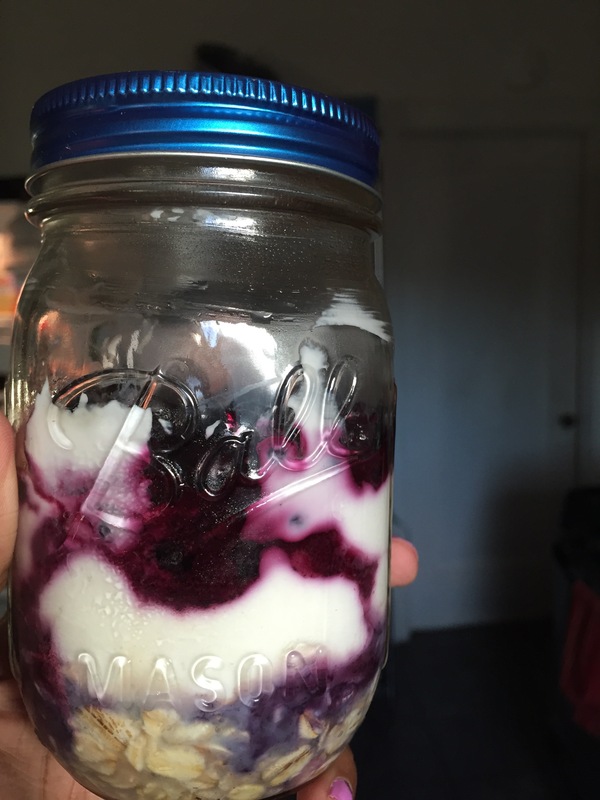 Overnight oatmeal in a mason jar, because they’re cute! Roasted squash, brussels, bell pepper and garlic. 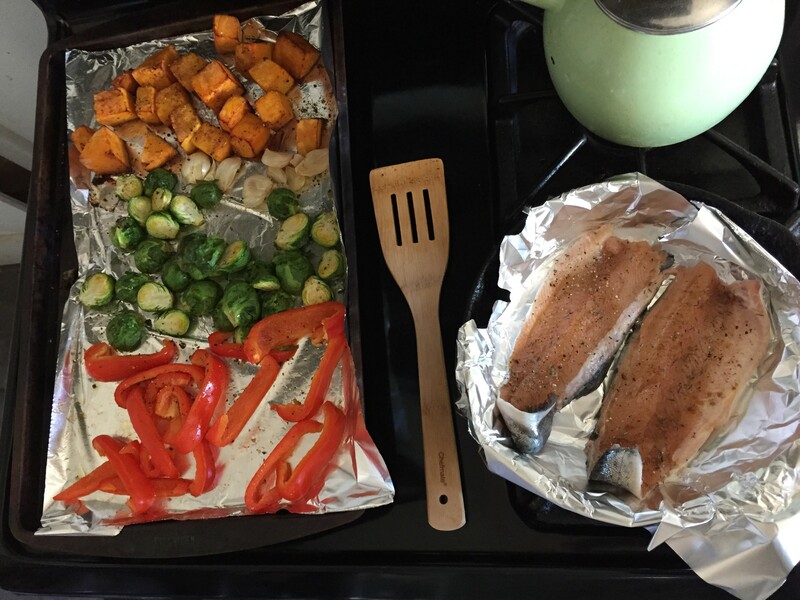 Baked trout for protein. 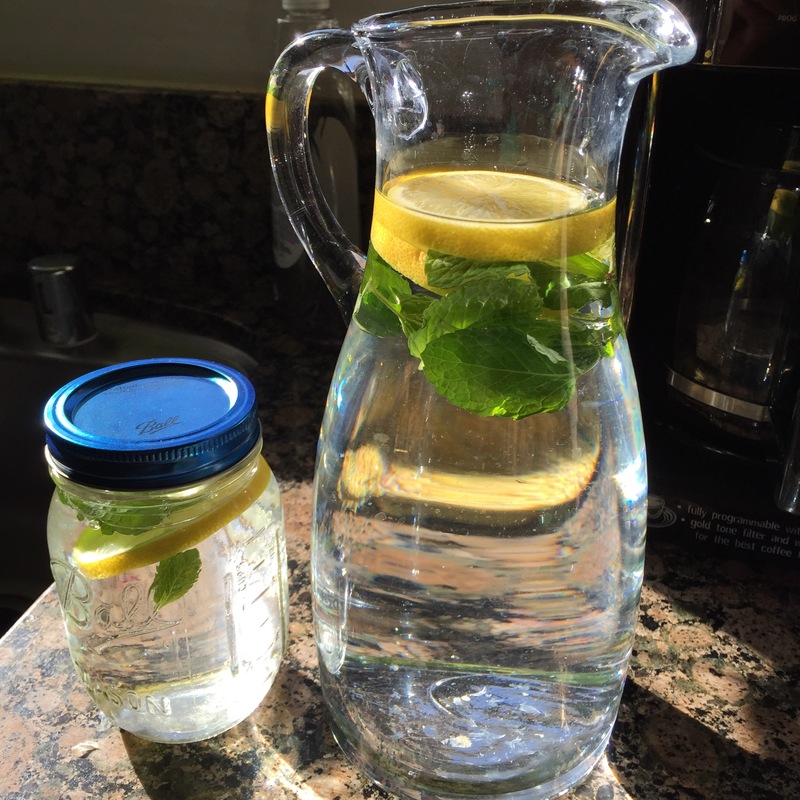 Lemon and mint water. One for home, one to take for lunch. Roasted veggie power bowl all read to go! 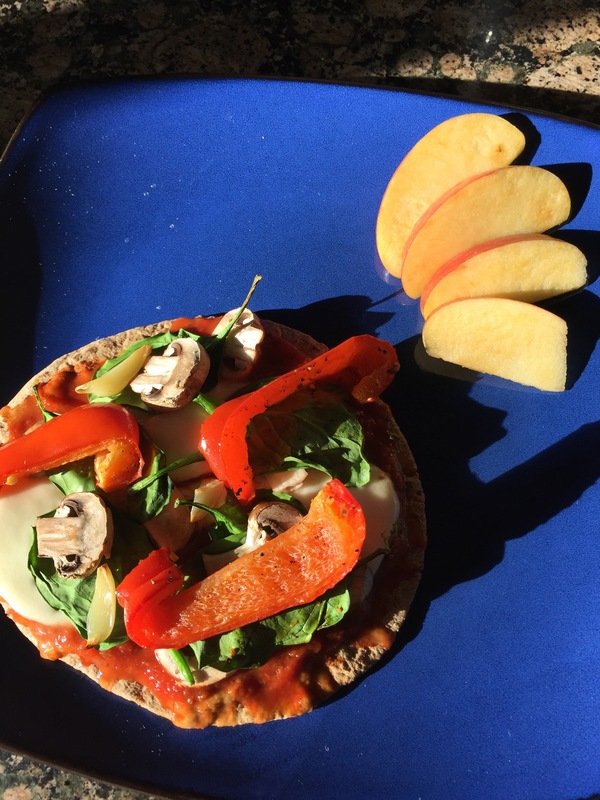 My dinner is a whole wheat pita pizza topped with spinach, mushrooms, roasted red bell pepper, and roasted garlic (the last two were extra veggies I had from the power bowl). My main goal for this “jumpstart” challenge is to simply get into a good habit and hopefully shake off some of the jiggle in my thighs and tummy. Yes, jiggle. It’s there. I’ll be posting updates at least once a week. Below is a “before” photo taken today (day 1). Let’s do this!